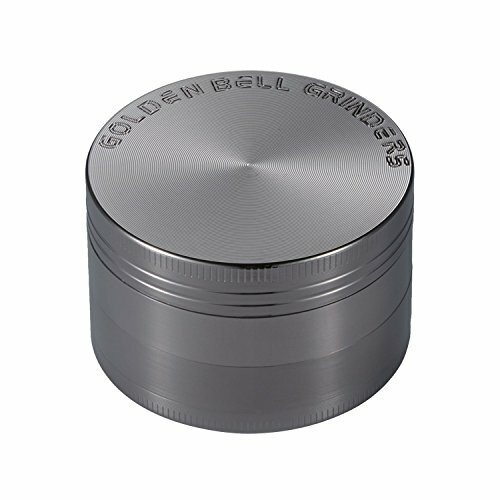 – Premium zinc alloy material, precisely machined on computerized machines. – Optimum 2 inch size, grind the herb you need in one go. – Smooth grind, less friction. Get The Ultimate Premium Herb and spice Grinder Made Just For You!? Grinding by hand your own herbs, and spices in this beautiful machine is the great way to enjoy the pleasures of cooking. And since we are the manufacturer we offer you a Lifetime Warranty! Mesh Screen filters very fine pollen and Pollen scraper is included. The magnetized lid helps considerably to reduce spilling. Thin Poly O-Ring for smooth grinding and less friction.